A particularly captivating, futuristic iOS 8 concept, which we first caught a glimpse of late last month, sought to combine elements of the Control Center and new multitasking view of to create an entirely new, effortlessly functional interface. Some concepts are unattainable and / or just plain unrealistic, but, reading between the lines, this particular concept made perfect sense – combining two features into one for ease-of-access. Naturally, with the jailbreak scene currently thriving, one developer sought to turn this most plausible of designs into a genuine reality, and having announced the Vertex tweak only a couple of days back, it has been completed, packaged up, and is ready for prime time. Check it out below! 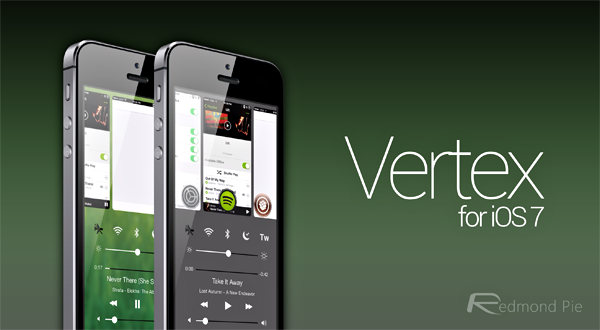 As well as making better use of the limited amount of display real estate offered by the iPhone, Vertex is also compatible with the iPad, where it really spreads its wings and showcases its beauty. 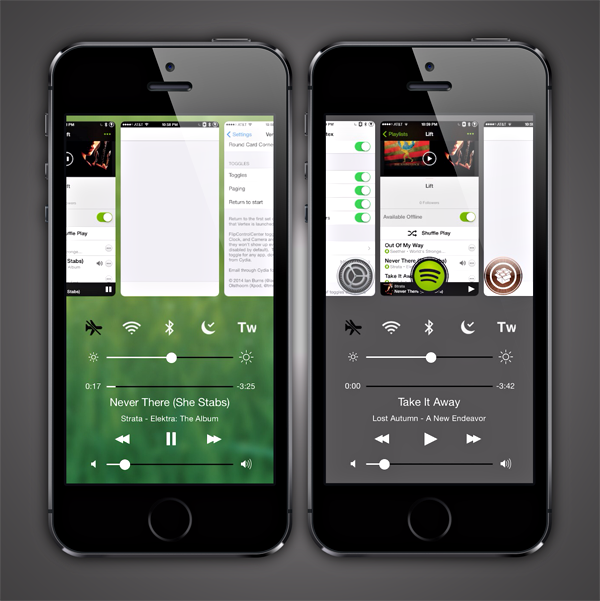 With Vertex, the Control Center and multitasking interface is pieced together in such a manner that one can quickly forget that these two entities are separate at stock level, and not only do they work side-by-side in a harmonious, complementary fashion, but they also look as though they were meant to be as one, as a result, it doesn’t feel at all cluttered. 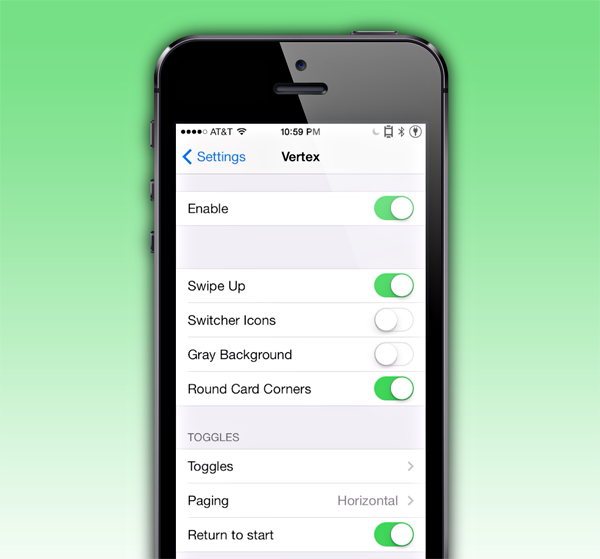 Vertex can be found over at the BigBoss repo, and will set you back a mere $1.49. Of course, it has no actual bearing on iOS 8, which will pack its own set of functional and visual enhancements of which we currently have little to no clue. But nevertheless, having the Control Center and multitasking cards in one place is a very practical idea, and with this tweak on board, you’ll be able to manage your apps and device functions in one fell swoop.